Sergei Polunin, who famously defected from the Royal Ballet just over a year ago, has found a home at the Stanislavsky theatre, and fame through winning a television dance competition. Settling down after his semi-breakdown, he is demonstrating the value of the Royal Ballet School and Company by returning to partner Tamara Rojo in her farewell performances at Covent Garden, and by bringing a Royal Ballet creation to Russia. 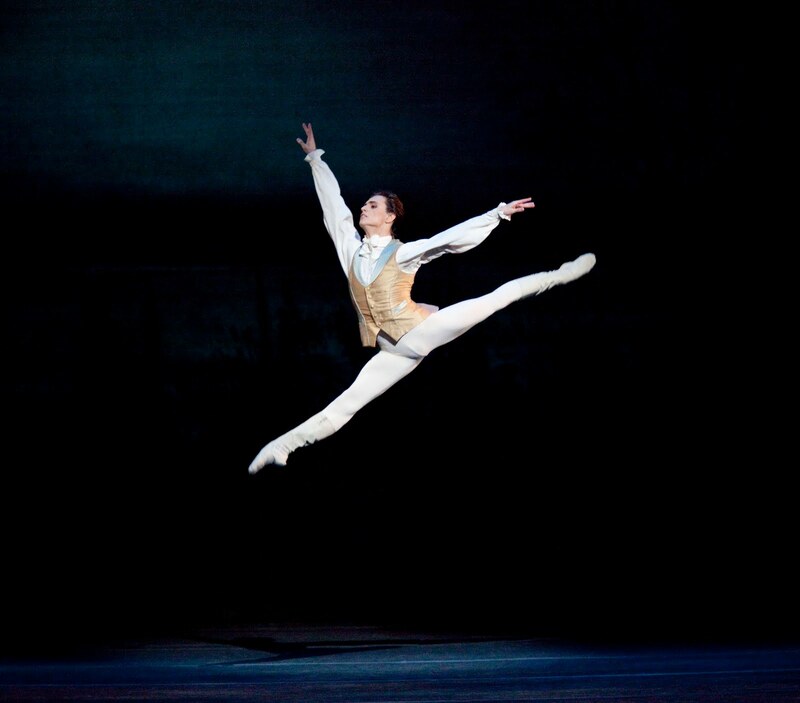 Yesterday saw the première of Kenneth MacMillan’s Mayerling in Moscow, with Polunin as tortured Crown Prince Rudolf. The ballet was created for the Royal Ballet in 1978. Although he will dance only one performance, sharing the role with Georgi Smilevski and the company director Igor Zelensky, it is proof that his London years are important to him, and he’s not going to throw out the baby with the bath water. Izvestia asked him about the work. In Russia MacMillan is rarely danced, although the audiences love historical melodrama. You seem to have a lot of experience of performing his ballets. Since I was 17 I was busy in the corps de ballet for Manon and Mayerling. It is a good basic acting training to go through. In MacMillan ballets you don’t just act it but live it, and there’s a lot of improvisation: if someone isn’t where they usually are you work around it; it depends on your mood, on how you are feeling. Are you comfortable playing Rudolf, such an unsympathetic and difficult character? Yes. Some roles I find difficult to inhabit: in Giselle, for example, I can’t get into the first act: how do I play a Duke playing a peasant? But Rudolf just came, comfortably and organically. What do you think Russian audiences will make of Mayerling? It’s far from our history. I don’t think everyone will like Mayerling, it’s a matter of taste. In London the Royal Ballet have been doing MacMillan for many years, and his works remain in the repertoire with the vintage decor. Here with Zelensky, everything has been created from scratch. Up to the last minute I thought it all a big risk, and that Mayerling will look fake – it is in a very different style to the usual Russian productions. But the theatre has done a great job. There have been a lot of frayed nerves, but we’ll now see if, over time, the production will be understood. Both you and the artistic director Igor Zelensky are dancing Rudolf. Yes. Igor is no longer young, but at 43 he’s still in great shape. This ballet is hard even for a young dancer, after the run-through, I felt as if I had aged two years. Mayerling takes everything out of you physically, like Spartacus. And talking of age, Polunin once said that he would stop dancing at 26. It seems crazy now, but at 18 I thought that 26 was a good age to stop. Ballet hurts. Up until the age of 32 years it’s fun, and the body is able to recover, though after 28 you need to work harder to keep yourself in good shape. For a mature dancer it’s difficult. So when you reach 26, what will you do? I don’t know what else I can do. If I can cross that line then maybe I’ll dance to the end, proving that even a 50-year-old can perform at a high level. The dramatic intensity Polunon displays in Mayerling is so emotionally bare, even slipping sometimes dangerously close to reality, is and exciting to watch — on line. Live performances must leave the audience, as well as the dancers, emotionally exhausted and drained. This is the very type of story ballet and energetic performance that addicts audiences to the red and gold art. Hurrah!